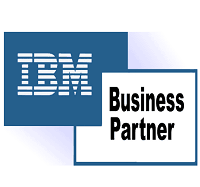 Technosoft is a certified IBM Business Partner. As an IBM Advance Business Partner, Technosoft has access to the latest technology updates, cutting edge training and level 2‐3 support from IBM. Technosoft also has complete access to IBM’s Virtual Innovation Center and IBM’s extensive knowledge base. This partnership helps our employees deliver high quality solutions to our customers’ unique problems. To discuss about our services, expertise and how we can help you, please contact us.